In any business transaction, it’s important to know what you’re getting and to trust the entity you’re working with. One way to ensure both of those things happen is to have a service level agreement (SLA) with your supplier. This is especially important in the manufacturing industry, where there are a lot of moving parts and projects can be long and complicated. A great SLA will outline matters like the process for ordering, revisions, shipment, inventory, obsolescence and lead time expectations, and help keep you on track to meeting your goals. It doesn’t have to be legally binding but it does need to be something both you and your supplier agree upon before starting a project together. One of the main benefits of an SLA is that it gives each party the opportunity to share its goals for the end product. Whether it’s a simple battery cable assembly or a complex operator interface, your initial goals will likely be different than your supplier’s goals. For example, you might want your supplier to get you the product as quickly as possible. However, your supplier may want to look for cost reduction opportunities within the design. When you share those goals with one another, you have the opportunity to discuss them and make sure they align. If cost reduction sounds like a good idea to you, maybe you’ll offer to give your supplier a little more time to deliver. Or, you can work with your supplier to get this particular order delivered quickly while giving them the opportunity to look at cost reduction options for the next order. Once you understand each other’s goals for the project, you can further the discussion by laying out expectations. Do you want your supplier to keep you updated on the progress? If so, how often and how would you like it communicated? Does your supplier expect certain information from you along the way? If you know what information your supplier expects from you and when they’ll need it, you can be sure to provide it in a timely manner. And knowing what you expect reduces the need for your supplier to call you with questions, or waste time waiting on answers via email. With common goals and clear expectations, you and your supplier should be able to sail smoothly through the project with little to no issue. Your supplier can more accurately plan how much space will be needed to build your product, as well as how many people it will take. They will also be able to leverage their supply chain in a manner that meets or exceeds your expectations, helping them deliver the highest quality product to you on time. 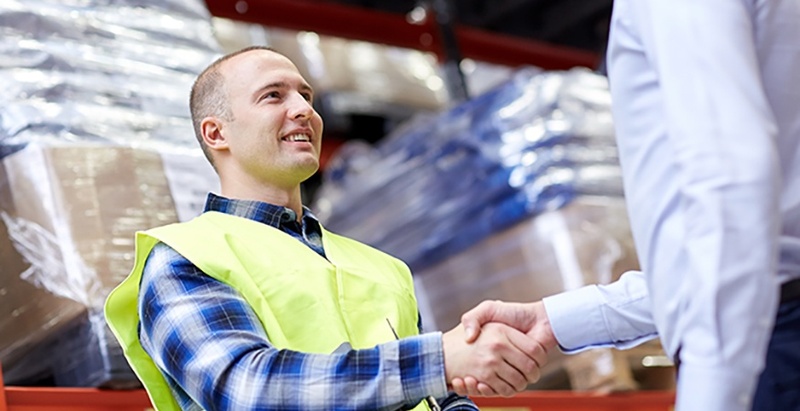 Your supplier will appreciate the advanced planning and, barring any unforeseen delays, you can plan your operations accordingly — allocating labor and space as necessary to get the finished product to your own customers. In short, an SLA is a proactive tool that opens up communication lines between you and your supplier. It allows both parties to plan better, maximizing space and labor availability. Your supplier will know exactly what you need and how you expect it to be manufactured, so if any questions come up in the process, your supplier is empowered to make decisions quickly without spending undue time consulting you or your team. An SLA will remove any gray areas and draw a clear line of expectations and deliverables for both you and your supplier. While your SLA may vary from supplier to supplier, or from product to product, many of the goals and expectations can remain the same. As long as you and your supplier are on the same page from the beginning, you’ll have a great SLA. If you want to read more, one example of an MCL/customer SLA is featured in How MCL Minimized a Customer’s Production Delays. Click on the button below to download your free copy.